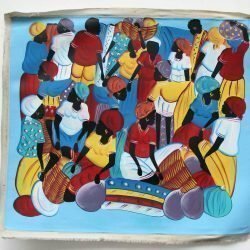 Buy Haitian Paintings Online Traditional market scenes and more. 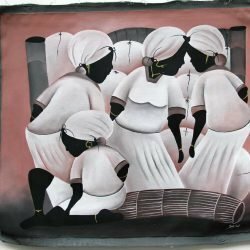 Traditional market scene with bright pops of orange and white dresses. 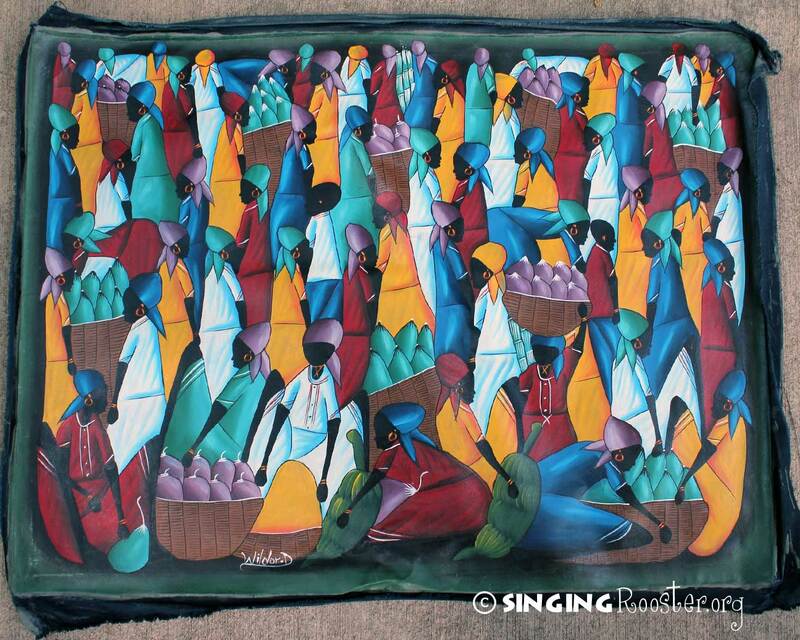 Singing Rooster specializes in traditional market scene Haitian paintings.